UAE. 2012. Dubai. 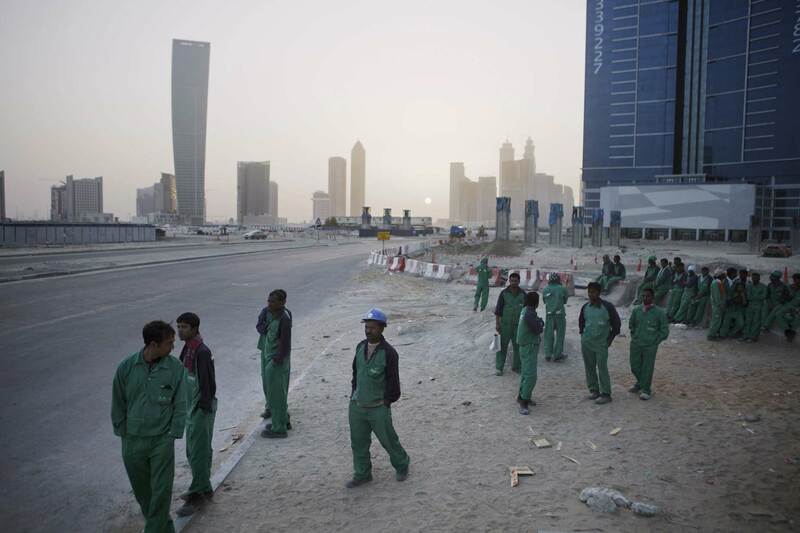 In the building development of Dubai Business Bay area, construction workers wait for their bus home to their lodgings in labor camps outside the city. The workers are shipped in at dawn and work until sunset, when company buses fetch them.